Movie makers have always had an eye on the Camden district’s large country houses, rustic farm buildings, quaint villages and picturesque countryside for film locations. From the 1920s the area has been used by a series of film makers as a setting for their movies. It coincided was an increasing interest in the area’s Englishness from poets, journalists and travel writers. They wrote stories of quaint English style villages with a church on the hill, charming gentry estates down hedge-lined lanes, where the patriarch kept contented cows in ordered fields and virile stallions in magnificent stables. This did not go un-noticed in the film industry. One of the first was the 1921 silent film Silks and Saddles shot at Arthur Macarthur Onslow’s Macquarie Grove by American director John K Wells about the world of horse racing. The film was set on the race track on Macquarie Grove. The script called for a race between and aeroplane and race horse. The movie showed a host good looking racing blood-stock. There was much excitement, according to Annette Onslow, when an airplane piloted by Edgar Percival his Avro landed on the race course used in the film and flew the heroine to Randwick to win the day. 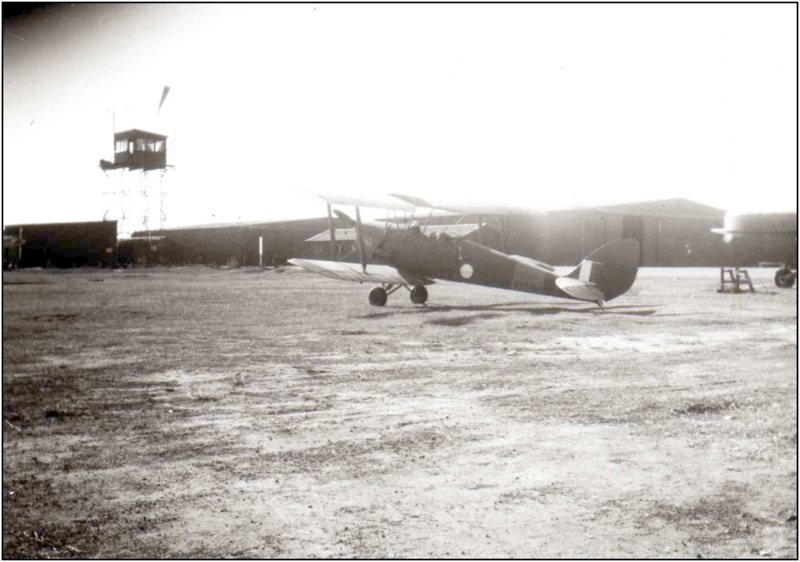 Arthur’s son Edward swung a flight in Percival’s plane and was hooked on flying for life, and later developed Camden Airfield at Macquarie Grove. Camden film locations were sought in 1931 for director Ken G Hall’s 1932 Dad and Dave film On Our Selection based on the characters and writings of Steele Rudd. It stars Bert Bailey as Dan Rudd and was release in the UK as Down on the Farm. It was one the most popular Australian movies of all time but it was eventually shot at Castlereagh near Penrith. The movie is based of Dan’s selection in south-west Queensland and is about a murder mystery. Ken G Hall notes that of the 18 feature films he made between 1932 and 1946 his film company used the Camden area and the Nepean River valley and its beauty for location shooting. The films included On Our Selection (1936), Squatter’s Daughter (1933), Grandad Rudd (1934), Thoroughbred (1935), Orphan of the Wilderness (1936), It Isn’t Done (1936), Broken Melody (1938), Dad and Dave Come to Town (1938), Mr Chedworth Steps Out (1938), Gone to the Dogs (1939), Come Up Smiling (1939), Dad Rudd MP (1940), and Smith, The Story of Sir Charles Kingsford Smith (1946). The Camden district was the location of two wartime action movies, The Power and The Glory (1941) and The Rats of Tobruk (1944). The Rats of Tobruk was directored by Charles Chauvel and starred actors Chips Rafferty, Peter Finch and Pauline Garrick. The story is about three men from a variety of backgrounds who become mates during the siege at Tobruk during the Second World War. The movie was run at Camden’s Paramount movie palace in February 1945. The location for parts of the movie were the bare paddocks of Narellan Vale and Currans Hill where they were turned into a battleground to recreated the setting at Tobruk in November 1943. There were concerns at the time that the exploding ammunitions used in the movie would disturb the cows. Soldiers were supplied from the Narellan Military Camp and tanks were modified to make them look like German panzers and RAAF Camden supplied six Vultee Vengeance aircraft from Camden Airfield which were painted up to look like German Stuka bombers. The film location was later used for the Gayline Drive In. Charles Chauvel’s daughter Susanne Carlsson who was 13 years old at the time reported that it was a ‘dramatic and interesting time’. The second wartime movie was director Noel Monkman’s The Power and The Glory starring Peter Finch and Katrin Rosselle. The movie was made at RAAF Camden with co-operation of the RAAF. It is a spy drama about a Czech scientist who discovers a new poison gas and escapes to Australia rather than divulge the secret to the Nazis. Part of the plot was enemy infiltration of the coast near Bulli where an enemy aircraft was sighted and 5 Avro-Anson aircraft were directed to seek and bombed the submarine. The Wirraway aircraft from the RAAF Central Flying School acted as fighters and it was reported that the pilots were ‘good looking’ airmen from the base mess. There was a private screening at Camden’s Paramount movie theatre for the RAAF Central Flying School personnel. 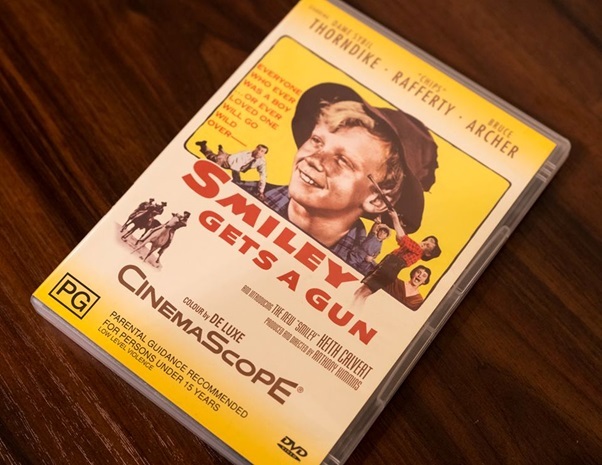 Camden Park was used as a set for the internationally series of Smiley films, Smiley made in 1956 and in 1958 Smiley Gets a Gun in cinemascope. The story is about a nine-year old boy who is a bit of rascal who grows up in a country town. They were based on books by Australian author Moore Raymond and filmed by Twentieth Century Fox and London Films. Raymond set his stories in a Queensland country town in the early 20th century and there are horse and buggies and motor cars. The town settings were constructed from scratch and shot at Camden Park, under the management of Edward Macarthur Onslow. The movies stars included Australian Chips Rafferty and English actors John McCallum and Ralph Richardson. Many old time locals have fond memories of being extras in the movies. Smiley was released in the United Kingdom and United States. In 1999 Camden airfield was used as a set for the television documentary The Last Plane Out of Berlin which was the story of Sidney Cotton. Actor Geoff Morrell played the role of Cotton, who went to England in 1916 and became a pilot and served with the Royal Naval Air Service during the First World War. He is regarded as the ‘father of aerial photography’ and in 1939 was requested to make flights over Nazi Germany in 1939. Camden Airfield was ‘perfect location’ according to producer Jeff Watson because of its ‘historic’ 1930s atmosphere. In 2009 scenes from X-Men Origins: Wolverine were filmed at Camden and near Brownlow Hill. In 2010 filmmaker Sandra Pyres of Why Documentaries produced a number of short films in association for the With The Best of Intentions exhibition at The Oaks Historical Society. The films were a montage of contemporary photographs, archival footage and re-enactments by drama students of the stories of child migrants. The only voices were those of the child migrants and there were many tears spilt as the films were screened at the launch of the exhibition. In 2011 scenes from director Wayne Blair’s Vietnam wartime true story of The Sapphires were filmed at Brownlow Hill starring Deborah Mailman, Jessica Mauboy and Chris O’Dowd. This is the true story of four young Aboriginal sisters who are discovered by a talent scout who organises a tour of American bases in Vietnam. On Brownlow Hill a large stage was placed in the middle of cow paddock and draped with a sign that read ‘USC Show Committee presents the Sapphires’ and filming began around midnight. The cows were herded out of sight and the crew had to be careful that they did not stand of any cowpats. Apparently Sudanese refugees played the role of African American servicemen of the 19th Infantry Division. The romantic house of Camelot with its turrets, chimney stacks and gables, was built by racing identity James White and designed by Horbury Hunt was the scene of activity in 2006 and 2007 for the filming of scenes of Baz Luhrman’s Australia, starring Nicole Kidman and Hugh Jackman. The location shots were interior and exterior scenes which involved horse riding by Kidman and Jackman. The film is about an aristocratic woman who leaves England and follows her husband to Australia during the 1930s, and live through the Darwin bombing by the Japanese in the Second World War. Camelot was a hive activity for the filming of the 1950s romantic television drama A Place to Call Home produced by Channel 7 in 2012. Set in rural Australia it is the story of a woman’s journey ‘to heal her soul’ and of a wealthy family facing changes in the fictional country town of Inverness in the Bligh family estate of Ash Park. Starring Marta Dusseldorp as the mysterious Sarah and Noni Hazlehurst as the family matriarch Elizabeth, who has a number of powerful independently wealthy women who paralleled her role in Camden in time past on their gentry estates. The sweeping melodrama about hope and loss is set against the social changes in the 1950s and has close parallels to 1950s Camden. The ‘sumptuous’ 13 part drama series screened on television in 2013 and according to its creator Bevin Lee had a ‘large-scale narrative’ that had a ‘feature-film feel’. He maintained that is was ‘rural gothic’, set in a big house that had comparisons with British television drama Downton Abbey. The 55-room fairytale like mansion and its formal gardens were a ‘captivating’ setting for A Place to Call Home, according to the Property Observer in 2013. Its initial screening was watched by 1.7 million viewers in April 2013. The show used a host of local spots for film sets and one of the favourite points of conversation ‘around the water-cooler’ for locals was the game ‘pick-the-place’. By mid-2014 Channel 7 had decided to axe the series at the end of the second series. There was a strong local reaction and a petition was circulating which attracted 6000 signatures to keep the show on air. In the end Foxtel television produced a third series with the original caste which screened in 2015. Camden airfield was in action again and used as a set for the Australian version of the British motoring television show Top Gear Australian in 2010. Part of the show are power laps in a ‘Bog Standard Car’ were recorded on parts of the runways and taxiways used as a test track. Camden Showground became the set for Angelina Jolie’s Second World War drama Unbroken in 2013. The main character Louis Zamperini, a former Olympic runner, and Onslow Park was used as part of the story of his early life as a member of Torrance High School track team. The movie is about Zamperini’s story of survival after his plane was shot down during the Pacific campaign. The filming caused much excitement in the area and the local press gave the story extensive coverage, with the showground was chosen for its historic atmosphere. Camden mayor Lara Symkowiak hoped that the movie would boost local tourism and the council was supportive of the area being used as a film set. The council had appointed a film contact officer to encourage greater use of the area for film locations. Edwina Macarthur Stanham writes that Camden Park has been the filming location for a number of movies, advertisements and fashion shoots since the 1950s. They have included Smiley (1956), Smiley Gets a Gun (1958), Shadow of the Boomerang (1960) starring Jimmy Little, My Brilliant Career (1978) was filmed in Camden Park and its garden and surrounds, and The Empty Beach (1985) starring Bryan Brown, House Taken Over (1997) a short film written and directed by Liz Hughes which used lots of scenes in the house. In the 21st century there has been Preservation (2003) described a gothic horror movie starring Jacqueline Mackenzie, Jack Finsterer and Simon Bourke which used a lot of the scenes filmed in the house. In 2005 Danny De Vito visited Camden Park scouting for a location for a movie based on the book “The True Confessions of Charlotte Doyle”. In Sleeping Beauty (2010) an Australian funded film was shot at Camden Park and the short film La Finca (2012). In September 2014 Camden Park was used as a location in the film called “The Daughter” starring Geoffrey Rush. Extensive filming took place over 3 weeks and members of the family and friends and Camden locals played the role of extras. In September 2014 Camden Park was used as a location in the film called “The Daughter” starring Geoffrey Rush. Extensive filming took place over 3 weeks and members of the family and friends and Camden locals played the role of extras. In 2015 the Camden Historical Society and filmmaker Wen Denaro have combined forces to telling the story of the Chinese market gardeners who settled in Camden in the early twentieth century. The project will produce a short documentary about the Chinese market gardeners who established vegetable gardens along the river in Camden and who supplied fresh product to the Macarthur and Sydney markets. 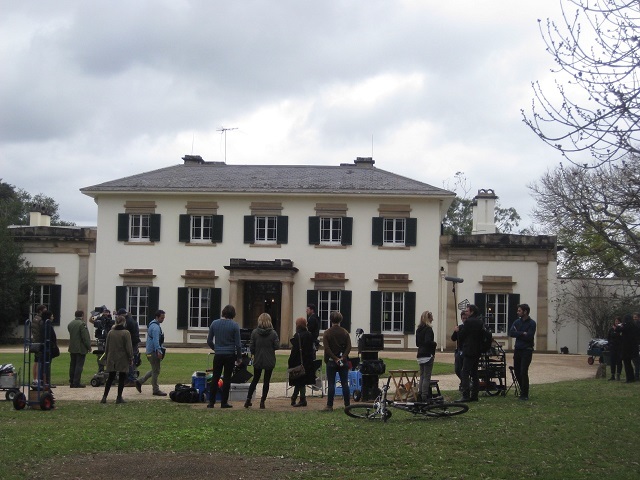 In 2015 an episode of the Network Ten TV show of The Bachelor Australia was filmed at Camden Park in August 2015. They showed scenes of the Bachelor Sam Wood taking one of the bachelorette Sarah on a romantic date to the colonial mansion Camden Park. There were scenes of the pair in a two-in-hand horse drawn white carriage going up and down the driveway to the Camden Park cemetery on the hill overlook the town. There were scenes in the soft afternoon sunlight of the couple having a romantic high-tea on the verandah of Camden Park house with champagne and scones and cup cakes. In the evening there were floodlit images of the front of Camden Park house from the front lawn then scenes of the couple in the sitting room siting of the leather sofa sharing wine, cheese and biscuits in front on an open fire and candles. Sarah is gobsmacked with the house, its setting and is ‘amazed’ by the house’s colonial interior. In 2018 a children’s film Peter Rabbit was been filmed in the Camden district. The movie is based on Beatrix Potter’s famous book series and her iconic characters. The special effects company Animal Logic spent two days on the shoot in Camden in January 2017. The first scene features the kidnap of the rabbit hero in a sack, throwing them off a bridge and into the river. For this scene the Macquarie Grove Bridge over the Nepean River was used for the bridge in the movie. According to a spokesman the reason the Camden area was used was because it fitted the needed criteria. The movie producers were looking for a location that screamed of its Englishness. Camden does that and a lot more dating back to the 1820s. The movie is set in modern day Windermere in the English Lakes District. The location did not have to have too many gum trees or other recognisable Australian plants. John and Elizabeth Macarthur would be proud of their legacy – African Olives and other goodies. Conveniently the airport also provided the location for a stunt scene which uses a bi-plane. The role of the animators is to make Australia look like England. The homestead is a real star of the show. The front yard, the dam and barn brewery on the property are major sets – I don’t know what we would do without them. The show follows the high-flying heart surgeon and is up to season three. Filming lasted three months and the cast checked out the possibilities of the Camden town centre. Actor Ryan Johnson said that Denbigh ‘made the show’. Denbigh homestead was originally built by Charles Hook in 1818 and extended by Thomas and Samuel Hassell in the 1820s. 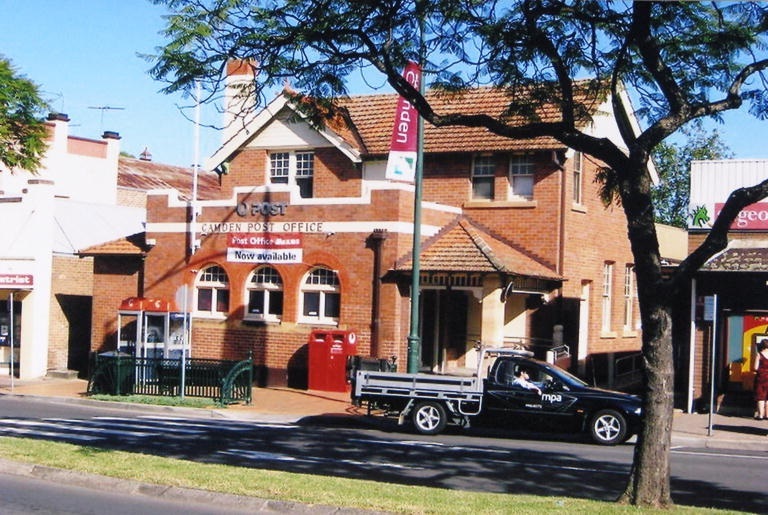 In late 2018 the TV series Home and Away has been using the haunted house at Narellan known as Studley Park as a set for the program. The storyline followed three young characters going into the haunted house and staying overnight. They go into a tunnel and a young female becomes trapped. Tension rises and the local knock-about character comes to their rescue and he is a hero. The use of the set by the TV series producers was noted by Macarthur locals on Facebook. This impressive house was originally built by grazier William Payne in 1889. The death of two children has earned the house its haunted reputation. In 1909, 14-year-old Ray Blackstone drowned in a dam near the residence. His body is believed to have been kept at the house until it was buried. The son of acclaimed business man Arthur Adolphus Gregory died at the house in 1939 from appendicitis. His body was kept in the theatrette. 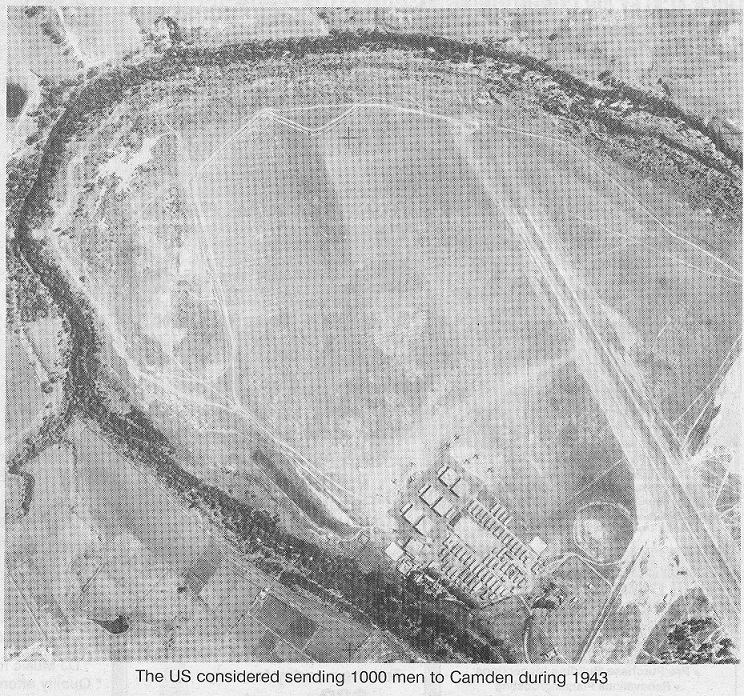 There are lots of exciting memories of Camden airfield in the 1930s by local folk, especially by little boys. One of those was Cec Smith. He recalls with great excitement the airfield and everything about it. He notes, ‘as the son of a farmer I was into anything that had an engine’. Cec was a small boy whose family had only been in the district a short time. He was eleven years old. The 1930s great adventure stories were ones of aviators and their aeroplanes. Aviators were the heroes of the British Empire, like those that were written about like Rudyard Kipling’s Kim (1901) or EM Forster’s A Passage to India’ (1924). Or the real adventurers of the empire like TE Lawrence, of ‘Lawrence of Arabia’ fame. Camden airfield generated the stuff of boy’s own adventure books. Aviators and aeroplanes were the dreams of all small boys in Camden. In 1936 it happened. Something different. A funny distant loaded, but relaxed, slow revving engine noise. But it was moving. Over that way. Couldn’t see anything. It was hidden by the house. When I got there, nothing. Even the sound was gone. Then within a few days that different distinctive noise again. Looking over to the northeast, could not see it. Then it appeared from my vantage point a mile or so away. It seemed to pop up out of the ground as it slowly emerged above the low ridge line running along this [Camden] side of the river. Cec eventually found out who owned the aeroplane. It belonged to a local hero of the empire, or so it seemed to one small boy. It was discovered that the plane belonged to Edward Macarthur Onslow, a local landholder. The plane was a DH.87A Hornet Moth (VH-UUW) and based on the property ‘Macquarie Grove’, where he lived. Older brother Denzil and younger brother Andrew were also qualified pilots. 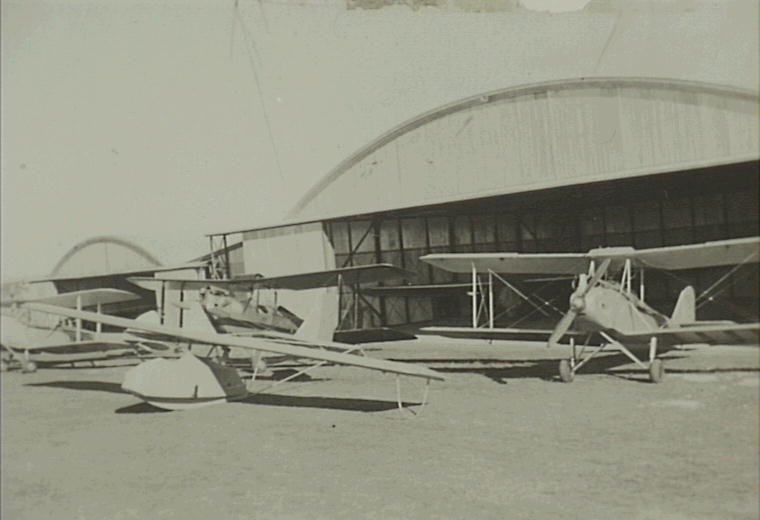 The brothers had taken the first steps toward developing a flying training and charter operation there, that pre-war was the Macquarie Grove Flying and Glider School Pty Ltd, and post-war became the Macquarie Grove Flying School Pty Ltd. The flying school generated lots of excitement especially the air pageants. Cec recalls that there were two air pageants put on there by the flying school in the late 1930s. The Macarthur Onslow brothers, along with local pilot/instructor Les Ray, who were the hands on staff of the school, and other pilots including Brian Monk (instructor from the Royal Aero Club of New South Wales) ‘all contributed to the success of what to us was a spectacular public event. This was all exciting stuff for myself and my school friends. It was a new dimension’. Cec spent of a lot of school time dreaming of flying and notes that ‘much of the flying activities were visible from the school’. He recalls that around 1937 he was intrigued to learn that there was parachute practice taking place on the airfield. He recalls that a movie called ‘Gone to the Dogs’ had a flying scene made at the airfield where a greyhound was to be delivered by parachute to a racing track. Cec assures me that the ‘dogs’ that he saw dropped by parachute were ‘dummies’. Everything about the airfield was pretty basic in those days. Cec, who gained his pilots licence after the war, recalls that the airfield was just ‘an open grazing paddock cleared of most trees and shrubbery but a fringe of trees remained on three sides of the field, adjacent to the river’. ‘did not represent a hazard except in the event of a seriously misjudged approach… having regard to the operational requirements of the aircraft of the day. The surface was the usual farm type grasses sometimes grazed by cattle’. Cec attended the one-teacher school at Theresa Park Public School from 1933-1934 where he was in a composite class. The Department of Education at the time paid for the teacher and supplied books and equipment. It was quite common for parents to meet any extra costs. Cec recalls that the school had 12 pupils and his first teacher was Mr White and later Mr Monday. Cec rode a horse to school bare-back ‘behind a neighbour’s son’, who owned the horse, despite his family owning a saddle. He maintains that the teachers had good control of the class and for their part the pupils were ‘attentive’, although there were occasions ‘when some of us were disruptive’. Theresa Park Public School eventually closed in 1958. After Cec finished with Theresa Park he travelled into Camden Public School in late 1934. Cec says that on the whole he enjoyed school, although he was ‘only a mediocre pupil but could with some effort get into the top three’. Cec’s classes were quite small. He was good attender and received a book prize for not missing a day in two years. Cec notes that the other pupils at the school came from a mixture of backgrounds, including 5-6 boys who came from the boy’s home. These boys he remembers came to school in bare feet and the lunches were ‘slices of stale bread spread with dripping, wrapped in newspaper and brought together collectively in a sugar bag’. In 1940 Cec was a student in the secondary department when he finished his Intermediate Certificate. The results were published in the Sydney Morning Herald in January 1941. Cec gained ‘B’ grade passes in Geography, Mathematics II, Business Principles, Technical Drawing, Woodwork, Music, Agricultural Botany. Other local youth who finished with Cec were J Hayter, Elaine McEwan, John Porter, Frederick Strahey. Cec recalls that the headmaster at that time was Neville Holder. 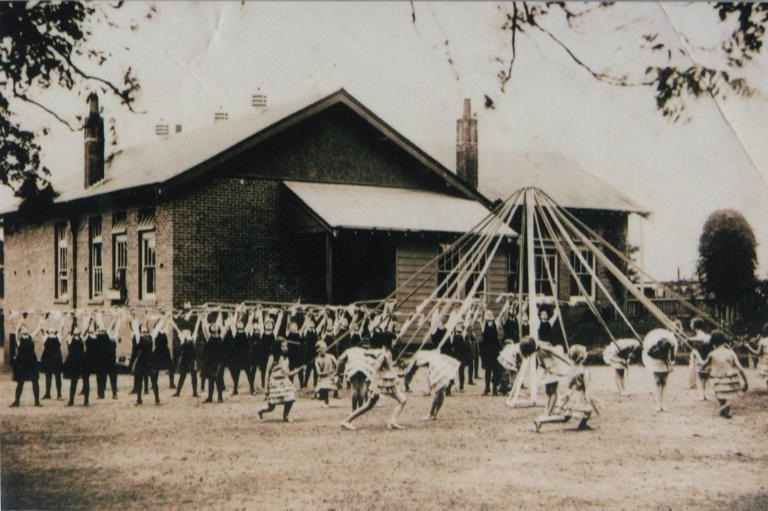 Holder was the principal of the school between 1937 and 1940 and Cec found him to be a good teacher and felt that he did many ‘good deeds as a person and teacher’ while at the school. Camden Public School became a central school in 1944 and reverted to a public school in 1956 when Camden High School opened in John Street. Cec sometimes had to wait at the milk depot at the end of Argyle Street, near the railway station, for a lift home after school. His father and brother would deliver the milk from the farm at the depot twice a day. despite all the negatives of those days… we received a good basic education across a range of subjects all for free. All that we had to do was be there. In most cases transport only cost the price of a bicycle and the physical effort of riding it… and the cost of a few books, pens and pencils. During these days Cec did temporary work at Camden Post Office for three weeks in 1938 when he was 14 years old, and in 1940 six weeks. While I was there I had to make a test call back to the post office. The public phone at the airfield had not been installed at that stage of the war. The only mail contractor at the post office had the run which started at Camden, went out to Glenmore, The Oaks, Oakdale and Nattai River in the Burragorang Valley and then on to Yerrandarie Post Office. Eventually Cec started work in Sydney in 1941 while his family continued dairying for the next 11 years. The war eventually caught up with the family and Cec’s brother joined up in 1940 and ‘my turn came in 1943’. He recalls that ‘for our generation much happened in the relatively short period between 1940-1945’. Australia’s entry into the Second World War created a demand for trained pilots. In July 1940 the Commonwealth Government acquired 468 acres of land on the Nepean River floodplain at Macquarie Grove `for defence purposes’ for an airfield.1 The site had been inspected in January 1940 for the RAAF by Wing-commander EC Bates (RAF).2 He had found it eminently suitable for the establishment of a flying training school. The Air Board had taken control of the airfield in April with the initial expectation for the airfield to house 150 men and 50 aircraft.3 According to reports the airfield had an ideal location with a long runway (1100 feet), clear approaches, room for expansion and existing hangars.4 The site had the advantage of a good surface, reasonable weather throughout the year, and quiet rural surroundings. According to the Sydney Morning Herald the full establishment of the school consisted of headquarters, a flying squadron of four flights and equipment, accounting and workshop sections, that would ultimately consist of 385 men. There was to be a permanent staff of 28 flying instructors. The regular intake of potential instructors when the school is in full swing would be 55, compromising 25 civil pilots and 30 service pilots. There would also be link trainer’s instructors course.7 One of the first training courses at the flying school involved 13 British Royal Air Force officers who arrived for training for an instructors conversion course in June 1940. The purpose of the school was flying training and administrative duties for selected officers and airmen of the RAAF so that could be flying instructors at RAAF Service Flying Training Schools throughout the country. The programmes conducted included training pilots in courses that lasted 16 weeks, air observers courses of 12 weeks, wireless operator’s courses of 16 weeks, and air gunners courses of four weeks.8 There were four Flights – A,B,C,D. The commanding officer of C Flight was Flight-lieutenant LN Ford. He commanded 35 officers, NCO’s and other airmen. Flights A,B and D had similar numbers. The aircraft used for training included Avro-Ansons, Airspeed Oxford, Tiger Moths and Wirraways while the Avro-Cadets were seen as `ideal’ for flying. 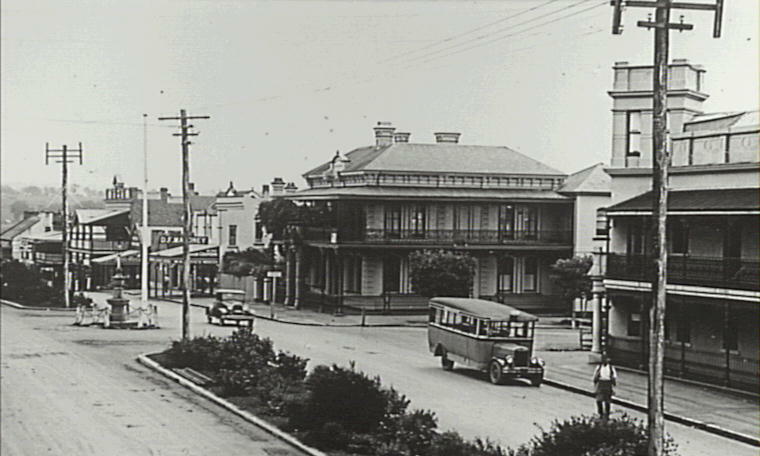 The flying school shifted from Point Cook to Camden in March, 1940 using aircraft, motor transport section vehicles and private cars. `C’ Flight was the first to move and due to temporary lack of accommodation a number of airmen were put up for a two weeks at Podesta’s Hotel in Camden. The move from Point Cook to Camden involved 48 Avro-Ansons and 2 Wirraways. The personnel included Wing Commander EC Bates (RAF), Squadron-leader GS Coleman, seven Flight-lieutenants, 23 flying-officers, ten pilot-officers, 132 airmen.9 By December 1941 the personnel at the school included staff 45 officers, 422 airmen, with 48 officers and 81 airmen in various training courses. Bates was commanding officer from 18 May 1940 to 11 May 1941 and was replaced by Wing-commander DJ Eayrs (RAF). The staff of the flying school consisted of RAAF instructors, as well as former commercial airline pilots and private instructors. For example, GS Coleman, was the chief flying instructor at the Royal Aero Club and the Kingsford Smith Air Service Co at Mascot before the war. 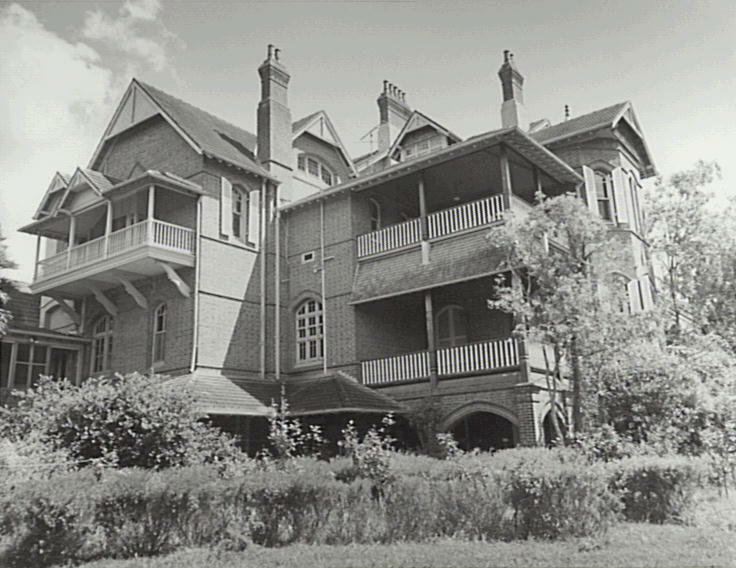 While the Department for Air had control of the airfield they lengthened the runway to 1000 feet, built huts for officers and the airmen, completed new hangers to house training aircraft, erected a control tower, Macquarie Grove house had been converted into the officers’ mess, a hospital was added and there had been the completion of a parade ground, roads and lawns. The Central Flying School was described by on aviation correspondent as ‘the nerve centre’ of the Empire Training Scheme in Australia. In January 1941 the Central Flying School Swimming Club used the swimming pool at the Nepean Picnic Reserve for training for the inter-station carnival at North Sydney Olympic Pool. In October 1941 the swimming club asked the council to clean out the swimming pool at River Reserve in Chellaston Street.22 An athletics sports meeting was held on Onslow Park on 16 April 194123 and the CFS Rugby Football and Recreation Club were using Onslow Park.24 The rugby union joined the local competition later that year, but despite local goodwill the Council objected to the RAAF playing football on Sundays at Onslow Park. After protests from the airmen the Council amended its regulations so that games could proceed.25 This was not the only time this occurred in Camden during the war. The Camden AH&I Society opened a ‘Soldier’s Recreation Room’ in the supper room in the hall at the showground in June 1940 for the airmen and soldiers based in the area. 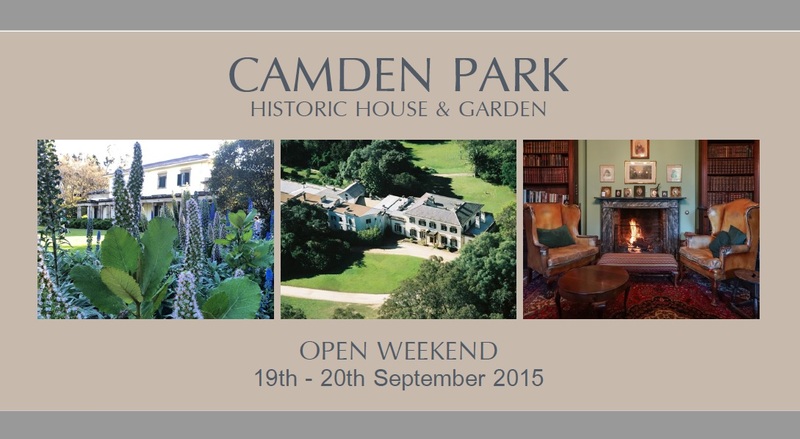 It was strongly supported by Dr Robert Crookston and George Sidman, a Methodist and owner of the Camden News. It was staffed by women from the Camden Women’s Voluntary Services, under the presidency of Crookston’s wife, Zoe. It had mixed patronage and could not compete with the local hotels. It was out of the way and was largely set up as an alcohol free venue for local airmen and soldiers. This might have suited the morality of some local townsfolk but not the more pragmatic men on active service at the military bases in the area. These military establishments included the airfield, the Eastern Command Training School at Studley Park and Narellan Military Camp. The Room was closed in March 1942 when the 11th Casualty Clearing Station, a mobile hospital unit, requisitioned the hall. 3 Camden News, 11 November 1940. 5 Sydney Morning Herald 23 May 1940 p.11. 6 Sydney Morning Herald 23 May 1940 p.11. 11 Wakehurst visited the airfield on 13 August 1940. 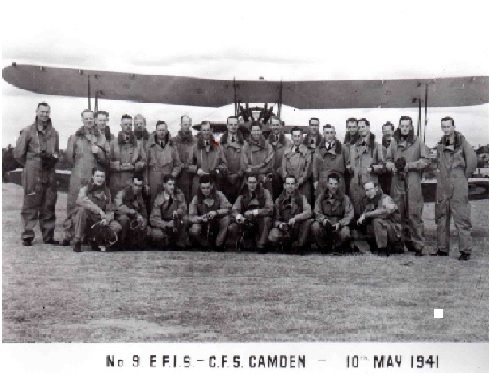 12 Operations Record Book, CFS, Camden.